How to make a dragon fruit or pitaya smoothie. One of my kids’ most requested breakfasts and snacks is this stunningly beautiful dragon fruit smoothie parfait. Sometimes we have this with yogurt and granola, and other times just as a simple smoothie in a jar with a straw. Although you could use fresh dragon fruit, there are frozen smoothie packs next to the frozen fruit in many natural foods stores. Just blend the pitaya up with a little more frozen fruit and coconut water. Can you believe that color!!! 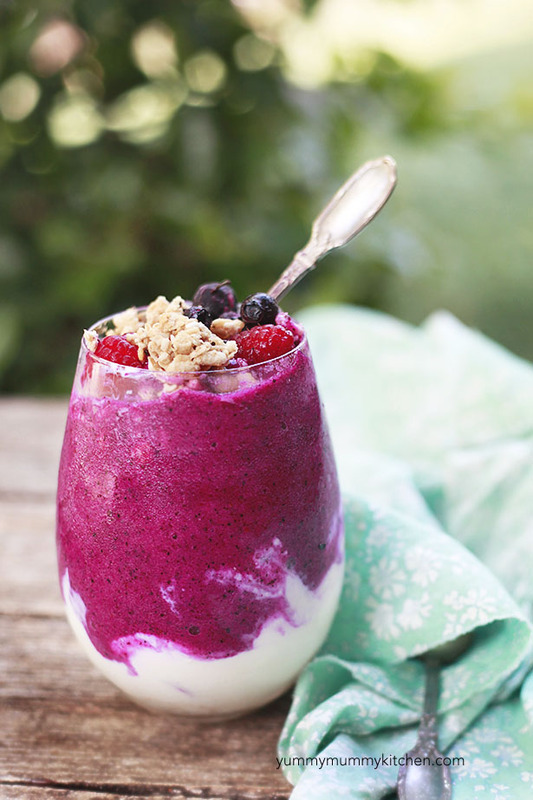 Place pitaya, banana, pineapple, and blueberries into a blender or food processor. Add just enough coconut water to turn the blender. Blend until smooth. Transfer into a glass or bowl. 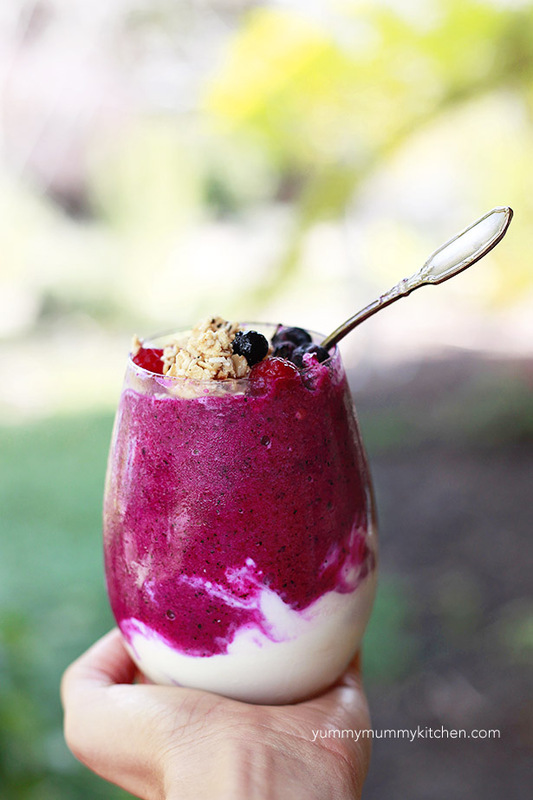 Top with yogurt and/or granola and berries if desired.